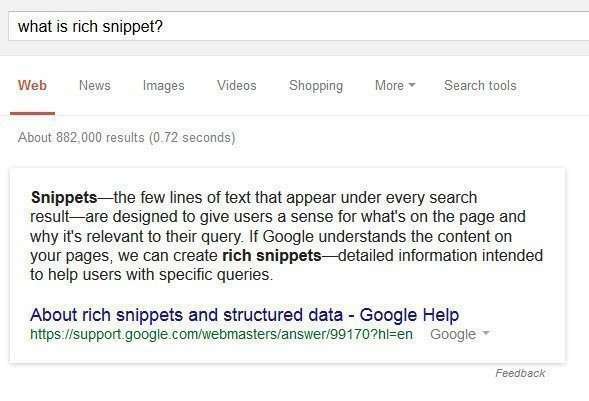 Google has started showing Direct answers to questions related to SEO. 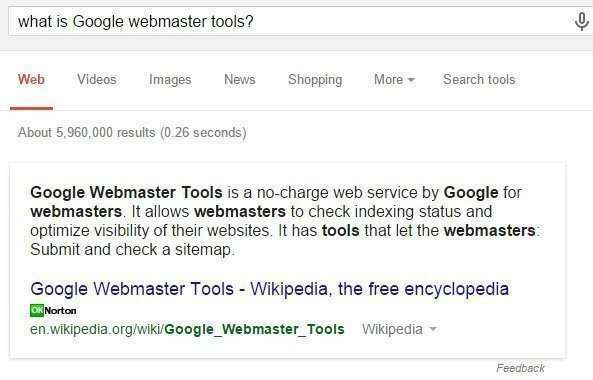 That has made me wonder how much someone could learn about SEO at Google with those direct answers, and I wanted to see what terms Google was showing results from and which sources. I expect there to possibly be a log of churn in the answers Google shows results from. 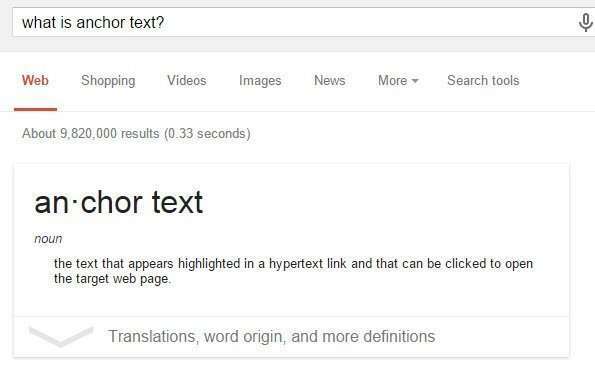 Do not trust Google’s Answers to those, It needs to work on improving the correctness of results, maybe though a knowledge-based trust. I then wanted to see how Google might describe some of it’ more recent upgrades – Panda, Penguin, Hummingbird, Pigeon, and the recently announced Doorway pages update. 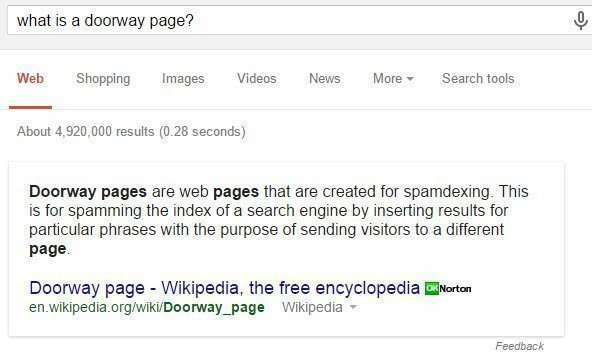 Google recently announced they they would be launching a new algorithm aimed at fighting link schemes using doorway pages. 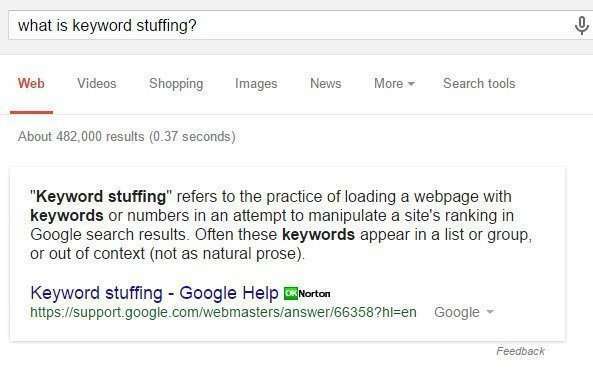 What would a search for “keyword Stuffing” bring searchers? 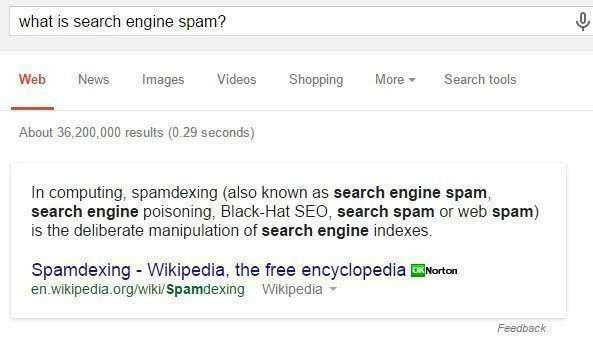 As SEOS, we are often concerned with how Google migh define “Search Engine Spam” – something we want to avoid if possible. 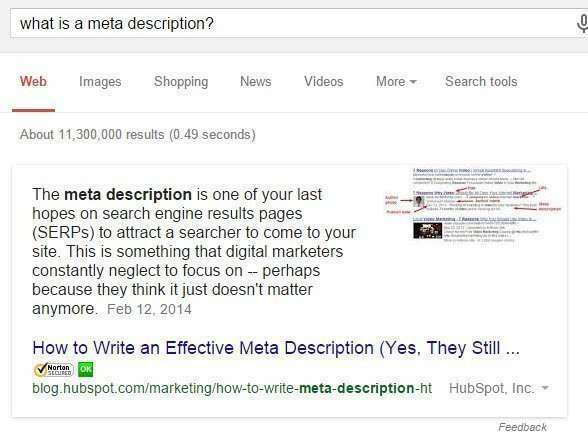 Doing an SEO Audit for a site, it’s important to know good practices for different HTML elements of a page, like Meta descriptions. Knowing how to use text in links (anchor text) reasonably well can also be helpful. 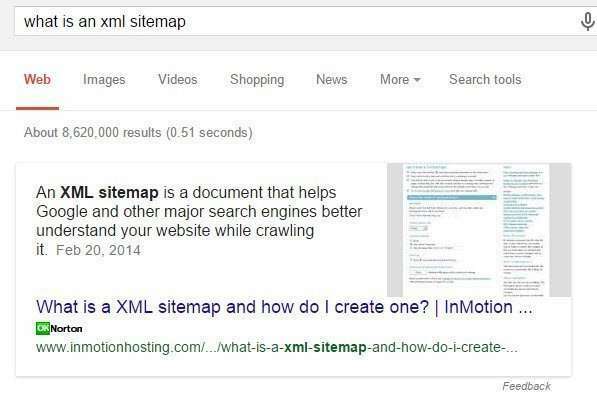 Knowing how to set up an XML Sitemap for a page can make it more likely that all of the pages for a site will get indexed. 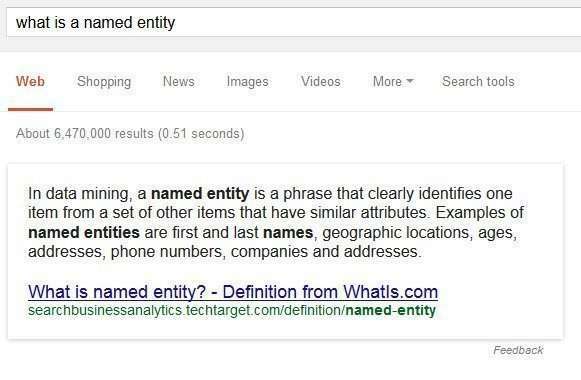 Google uses it’s understanding of what is a named entity to provide knowledge panels to searchers. 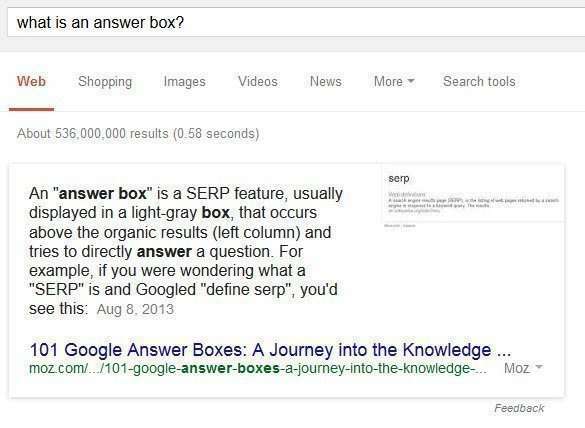 Some specialized search results happen at Google when a query term triggers an answerbox result at Google as well. Google may show query results that have specialized features that tend to be richer than most other search results, that use schema.org markup found on pages being indexed to use to display rich snippets, which may stand out from other results and led to more click throughs – search engines seem to like these because they make search results seem much more interesting, and display more data in those search results. 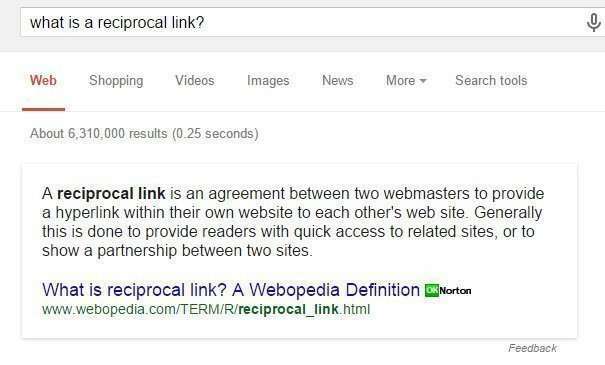 This was my first foray into exploring Google’s direct answers for SEO-related terms. I’m not surprised that a number of them were created from Wikipedia pages, or in some cases from Google help and support pages. 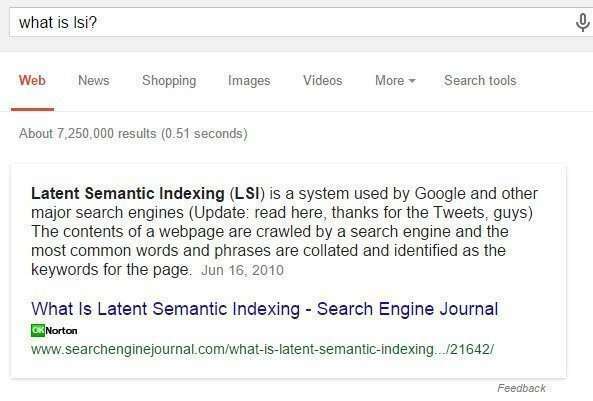 There are some that seem to promulgate SEO myths, like the answers about Keyword Density and the one about LSI (Latent Semantic Indexing), but the ones related to the Semantic Web seem more up to date. I’ll probably be revisiting many of these to see if the sources they use for answers change over time – I do expect some churn in those as people try to rewrite their pages to start showing up as Direct Answers. Thank you again, this was an interesting test. Perhaps we should ask Google how to get to first position in its results. Dangerously, this could of course create an infinite loop causing many of its server farms all over the world to melt. I suspect that there ill be a lot of people experimenting with trying to show up as answers for these direct questions. Great information on Direct Answers. I will be looking into this as well to see what kind of results warrant a direct answer. Would be nice to get useful pages to rank for relevant information to potential site visitors. I am sure the factors to rank for direct answers entail authority, page rank, relevance and then some. You are right Bill, extent of correctness of these direct answers will depend upon maturity of knowledge-based trust, which I believe is at a initial stage. This is a great Blogs post its very Knowledgeable topic to highlight, and some great information that you have shared with us Bill Slawski. Hi Cathy, The approach described in the knowledge-based trust paper is interesting, and doesn’t rely upon a crowd sourced-based metric such as PageRank, which will likely make information from authoritative sources an improvement. I found your post by searching for doorway page. I’ve decided it’s a door I’m not going to open! Good advice. If you have a doorway page set up on your page, it took a lot of work to create it – and it’s probably something you want to stay away from – no news yet that Google has started to penalize such sites, but it could hurt those sites a lot. Surprisingly a pretty diverse set of sources here. I am under the impression that these excerpts are featured due to patterns in the content of the featured page indicating that it is a definition. We played around with this when they first started appearing in the UK and managed to get a clients site to show up for a large number queries related to UK insolvency law. What a great sharing from you, I just knew about pigeon update from this article, then I realize that this is what happened to my previous website. It went down some pages. Nice article! I think some sites may benefit from being cited in answer boxes… provided the nature of the excerpt tends to pique the searcher’s interest, versus giving a definitive answer to their query. CTR will tell the tale. For the sites that get no CTR benefit (currency/temperature/time conversion- type queries, for instance), we’ll hear plenty of complaints (justifiable, IMO). Having a log more of the search results page dedicated to your site. Having a result linked to your site in a formatting style that causes it to stand out from other results. At least I’m glad to know that all of them are not from Wikipedia. Now need to find a way to get my results also in these types of ‘direct answer’ results. We performed round with this once they first began showing within the UK and managed to get a purchasers web site to point out up for a big quantity queries associated to UK insolvency legislation. This is really a nice article . It look good that even google is know providing sufficient knowledge about digital marketing stuff. Thanks Bill for sharing unique information with us. 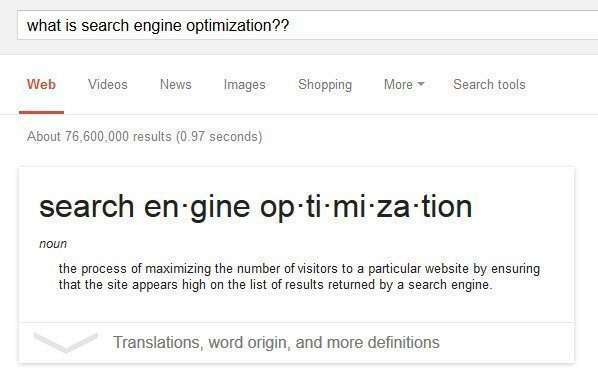 I learnt many new thing about SEO from this post. This is such an interesting post! Very unique and actually kept my wanting to see Google’s definition for these SEO terms. It actually got me thinking that I should add these definitions with my own flavor to my FAQ section. Keep up the great work Bill! Bill this was a fun and interesting look into Google’s direct answers service. Will be interesting to see how knowledge based trust affects those answers. I think I might write more about Knowledge-based trust sometime soon. The post is amazing. These types of posts keeps us updated with the latest for of SEO. 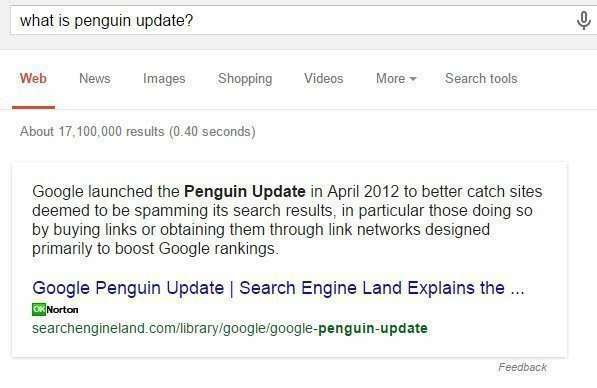 Looking forward to see some more helpful SEO related posts like this. Wow! 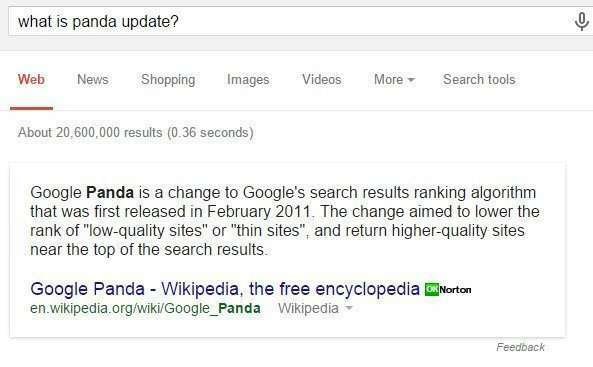 Google is now showing the direct answers of SEO also. Its good to see that. But will the SEO going to exist in future? Great changes! This is the best answer Iâ€™ve read so far about â€œwhat is SEOâ€. One sentence but a direct one. You will be able to figure out easily the true meaning of SEO. I am very surprised that most of them are from wikipedia !! Thank you for sharing this article . Really informative article, it will help people a lot. Thanks for sharing. Thank you again for this post, Bill. Can you explain to me what is LSI? Straight from the source! Can’t argue with those answers. always good to see people having fun! 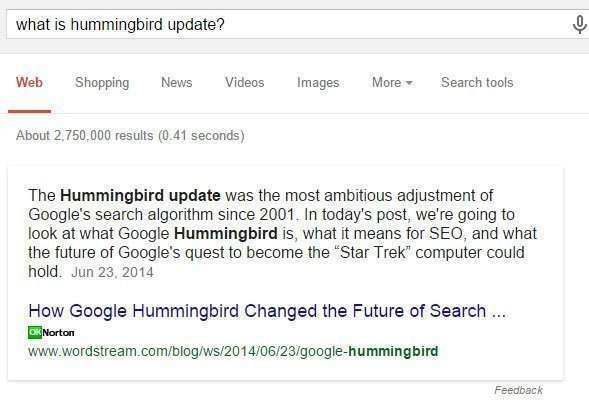 Google Hummingbird is a clever thing, one question for you. 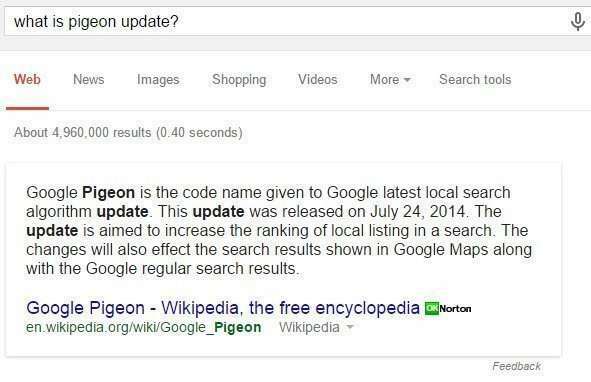 Is it rolled out to every google search engine or is it just English ones only like the google pigeon update? Awesome article! Pleasantly condensed. This was my top pick. Thanks to you Bill for this itemized post. 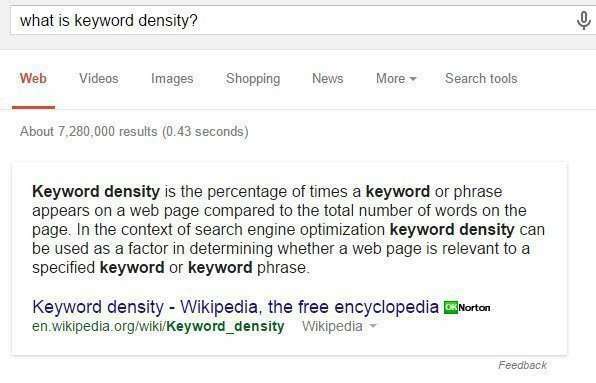 It truly helps me to see direct answers and their effect on SEO. It is truly incredible and it issues me a considerable measure of thoughts regarding presentation of real data in different organizations on site. Previous Previous post: How a knowledge card improves a search engine experience?